Even in this digital age, reading a map isn’t obsolete, it is an essential developmental skill that develops a child’s mind and Canada’s largest map publisher is offering to help classrooms out. A 2013 report on maps and education concluded that teaching a child to read a map builds their spatial reasoning skills. Most consider a child with enhanced spatial thinking skills has a distinct advantage in our global and highly technical society. Despite the importance, a growing number of children are missing out on mapping skills at an early age and that’s where MapArt, Canada’s leading map publisher is stepping in. 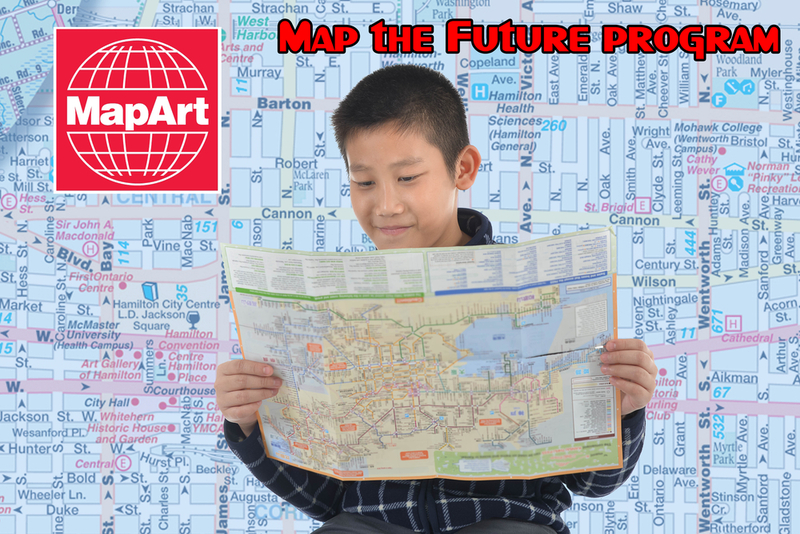 MapArt has launched the “Map the Future” program, offering classrooms donations of unused but out of date map publications to help Canadian children get better acquainted with map reading. This entry was posted in GPS Mapping, MapArt, media, News on August 29, 2018 by cccmaps. We’ve been servicing Corner gas for years and this year we were proud to be part of Corner Gas the Movie. Look for our display of CCC Map products (seen above on the counter next to the register) as well as Tree-Free greetings and JD Star sunglasses in the film. More Info on Corner Gas the movie here. This entry was posted in CCCmaps, media, News on December 31, 2014 by cccmaps. If you’ve seen our brand new Road Atlas line and wondered “How does the GPS feature work?”, you’re not alone. That’s why we’ve created a brand new web page filled with information, downloads and visual aids in order to help make your GPS experience a positive one. Begin by viewing this new video, let hosts Brandon and Riona guide you into getting the most out of your CCCmaps Road Atlas and GPS device. They were made to go together! This entry was posted in media and tagged 2014, GPS, Map Canada Project, North America, Quebec, Road Atlas, Saskatchewan on October 18, 2013 by cccmaps. 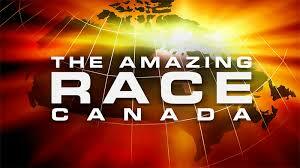 Be sure to tune into this Tuesday’s episode of Amazing Race Canada for a cameo appearance by our map displays in Calgary! Our new covers look pretty good on screen…. This entry was posted in media, News on July 29, 2013 by cccmaps.